the early morning, shortly before sunrise in the east. Venus orbits the Sun and moves from evening sky to morning sky and back again over the course of about 18 months. Venus makes beautiful sweeping motions in the sky that reveal secrets of the solar system. The planets all orbit the sun in the same plane. Image not to scale. All the planets in the solar system orbit the sun. All of the orbits line up in neatly nested concentric rings. And all of the rings are lined up with each other as if they are placed on a single surface together. The orbits are all in the same plane. It’s like they are all marbles circling around the sun on the same giant plate. This is called the “ecliptic” and it is visible in the sky if you know how to find Venus. The “plane” is a tool you can use to see the way things move in space. This “plane” is not an airplane, but a flat slice of space. 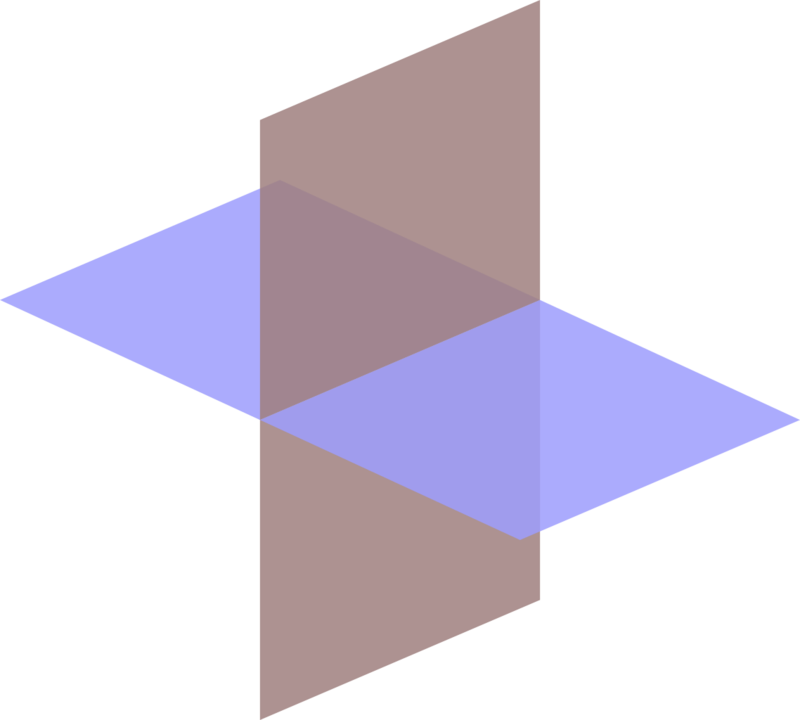 Here is an image of two intersecting planes. Imagine the blue plane is the earth’s surface and the brown plane is up-and-down from ground to sky. Each object (and movement) in space creates a “plane,” an imaginary slice through physical space. The blue “plane” above looks like the surface of a pond, lake or ocean. 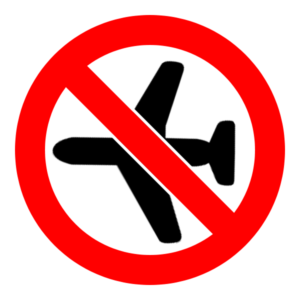 A wall or roof of a house is a plane. A dinner plate is a plane. Stretch your arms out and spin in a circle and you have created a plane with your arms. There are planes in space everywhere. 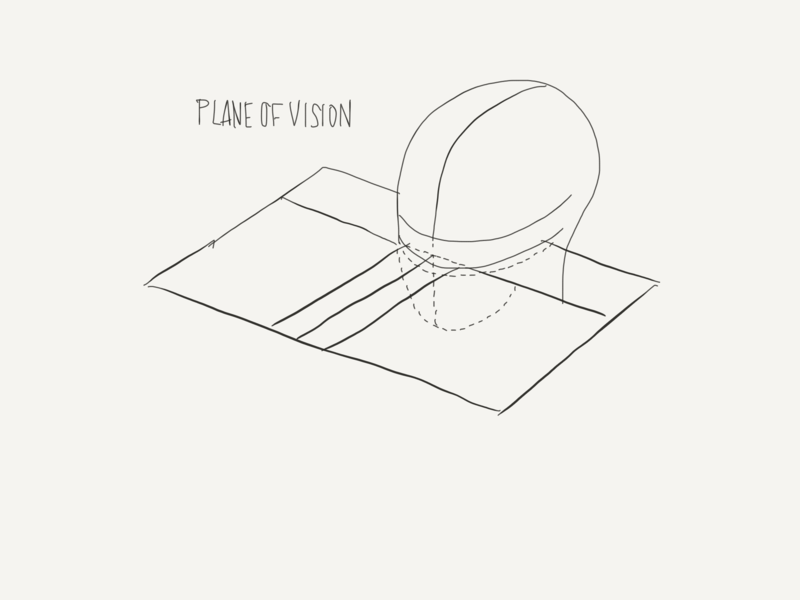 You create a plane with your vision and balance. You can imagine a flat surface like the surface of a pool of water and your eyes are just above the waterline. This surface moves and tilts when you move your head. 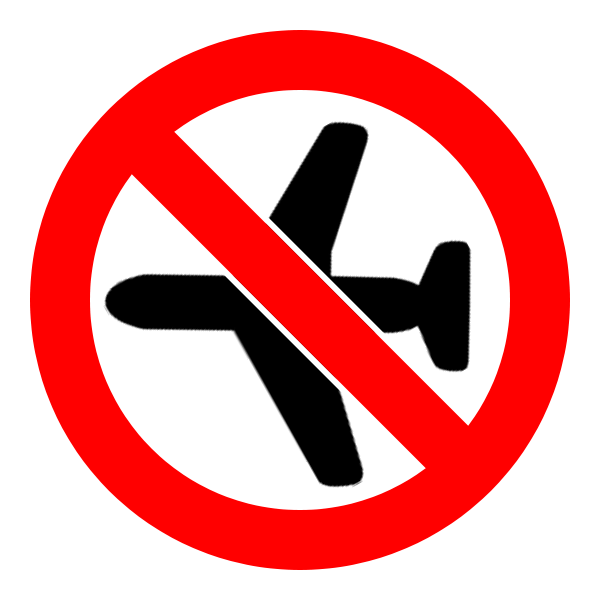 A new horizon – choose a plane! 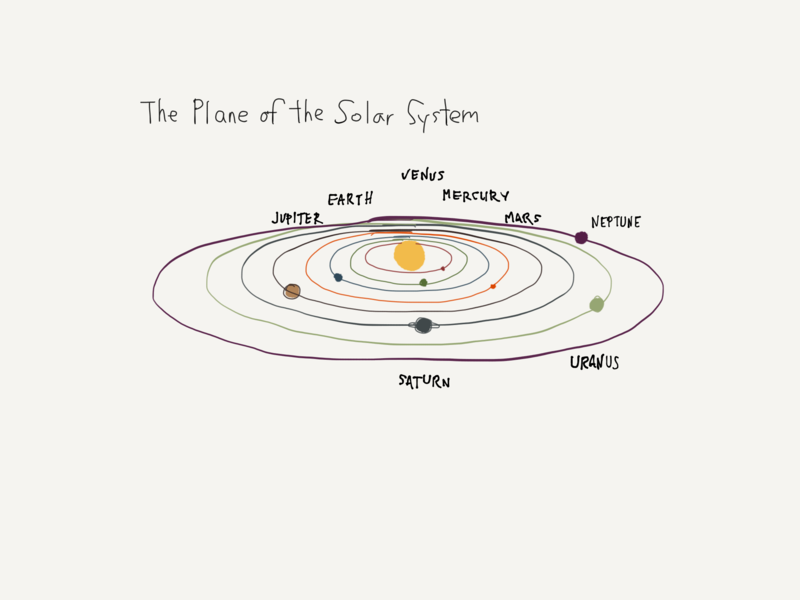 To get good at Physical Astronomy, we have to learn to coordinate our main “personal horizon” plane with other planes of the earth, moon, solar system, galaxy, and universe. The earth for instance, has a lot of planes, the range of latitudes, the north and south poles, the Arctic and Antarctic circles, the equator, the tropics, a range of longitudes, the prime meridian, the international date line, the ecliptic, the galactic plane and more. 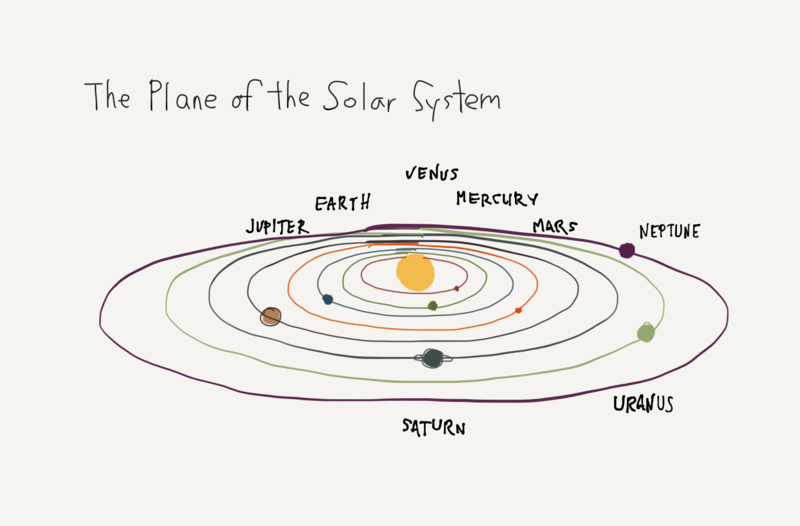 To keep things simple, let’s focus on just one other plane for now: the plane of the solar system. A wonderful thing will happen when you learn to link the plane of vision with the plane of the solar system. It’s pretty easy to do, and it’s a skill that gets better with practice. The key to linking vision and solar system planes is to know that the plane of the solar system is visible as the ecliptic. One easy way to see the plane of the solar system is to see the bright inner planet Venus. Venus is closer to the Sun so we are able to see its entire orbit. Actually, we can’t quite see the entire orbit because sometimes it goes in front of the sun and sometimes it goes behind the sun. We can see Venus in the early evening and in the early morning. Venus is visible in our sky when it is at the left and right extent of its orbit around the sun. We only see Venus in the sky when it is swooping around the left or right of the sun. If you want to see the orbit of Venus and see the plane of the solar system you can do it! All you have to do is imagine a line connecting Venus to the Sun. If you are looking at Venus early in the morning before sunrise or early in the evening before sunset, the process is the same. 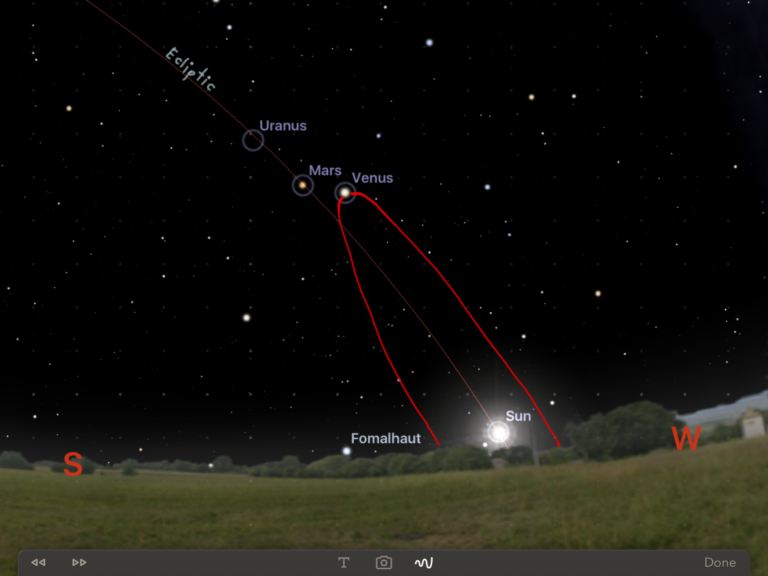 Imagine a line connecting Venus to the Sun; this is the ecliptic. Venus’s entire orbit covers roughly 1/4 of the sky. We learned about two main planes in space: your personal horizon (which changes as the Earth carries you around the Sun) and the plane of the solar system: the ecliptic. By learning to visualize these two space planes, we can begin to experience the extremely large dimensions of space. Venus information from In the Sky.